I picked these up a while ago and thought I'd share them. They all are mid 50's dated and supposedly came from a vet in the Montreal area. 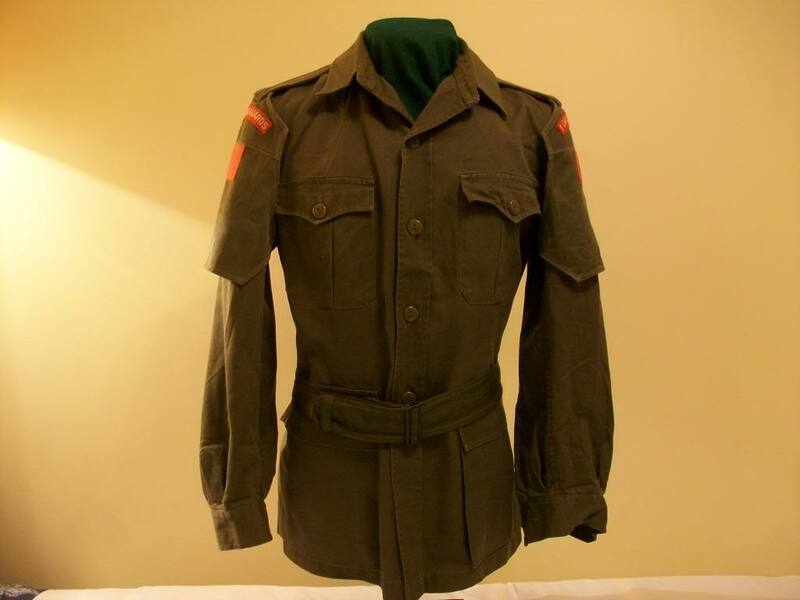 Whitch could be true seeing as he had a stack of 1st Canadian Guards kit for sale of the same vintage. I'm not that familiar with the Canadian Guards but this find has peaked my intrest. Anyone else have any Canadian Guards gear in their collections? The Canadian Guards were an interesting experiment. The were formed to inculcate British guards traditions in the Canadian army, but were not really accepted by much of the Canadian military hierarchy. As a brand new regiment, formed in the 1950's, they became the senior Canadian army regiment. This did not sit well with many. The Cdn Gds had a wide range of insignia, including special rank badges for officers' stars and the colour sgt. An interesting regiment to collect, with lots of material (so far inexpensive) to collect. Bill wrote: An interesting regiment to collect, with lots of material (so far inexpensive) to collect. This happens to be my secondary collection - after funny hats. 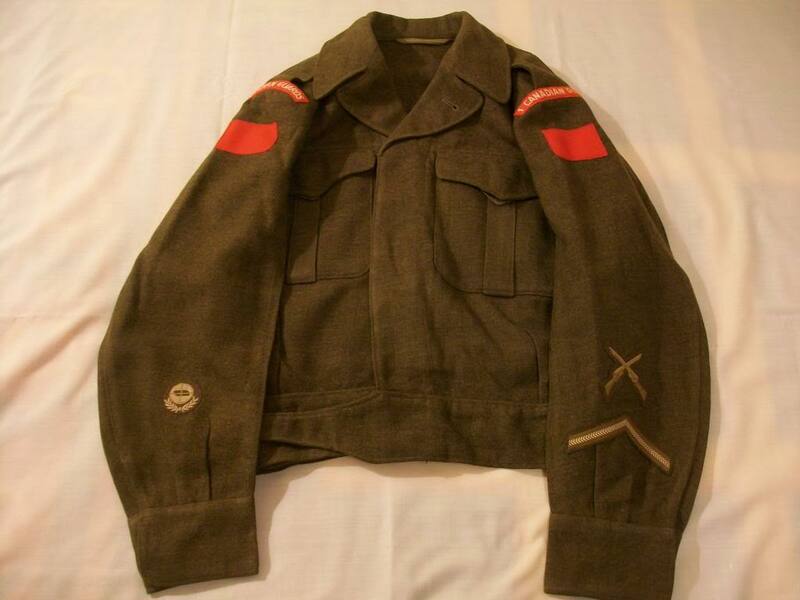 I collect the uniforms and insignia of all of the Canadian Regiments of Foot Guards (Cdn Gds, GGFG and CGG). All of the mannequins show are Guards' uniforms. 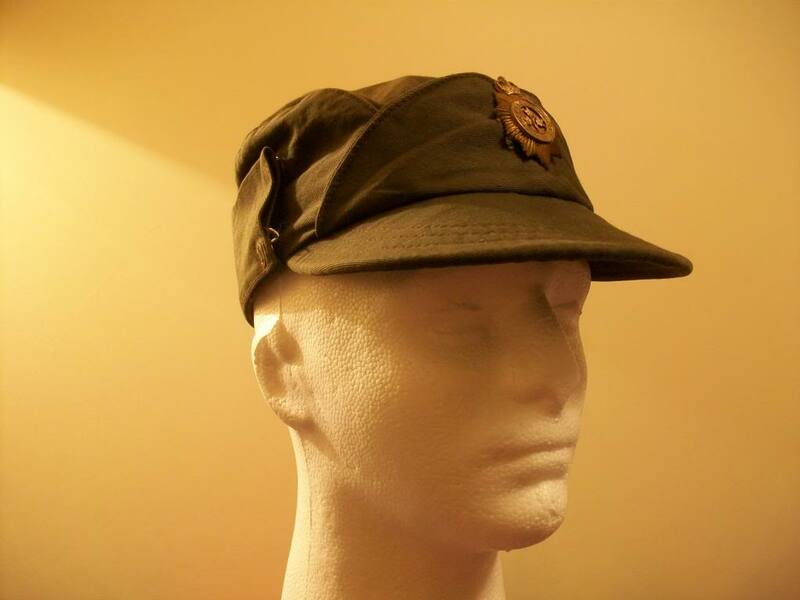 I even managed to find a Baldrick to the 3rd Bn (the sash worn by Drum-Majors). Clive, there is your next project... the Guards Regiments of Canada. Bill wrote: Clive, there is your next project... the Guards Regiments of Canada. Hmmm. DHH has a ton of material on the Cdn Gds and the proposed dress. The Queen was consulted on every aspect and she was the one who said that the wearing of thr Garter Star, for rank badges as worn by the Bde of Guards (UK), would be inappropriate for the Cdn Gds. In response, Canada chose a 10-pointed star to represnt the provinces - this is a direct steal of the GGFG cap badge whose six-pointed badge represents the provinces in 1872, when the regiment was raised. Don't forget, IF you do the Guards, you have the GGHG and 4 PLDG as well. Wow thats an impressive collection Clive. I wish I had a dedicated room to display my collection. Due to space constrants mine is divided up between a couple of colsets and numerous storage bins. The only time anything sees the light of day is when we have our monthly Legion meetings and i set up a small display for the membership. lorne19 wrote: Wow thats an impressive collection Clive. I wish I had a dedicated room to display my collection. Due to space constrants mine is divided up between a couple of colsets and numerous storage bins. The only time anything sees the light of day is when we have our monthly Legion meetings and i set up a small display for the membership. The trick is to wait 'til the kids grow up and leave the nest and you divorce your wife. It's amazing how much room gets freed up. I haven't made it that far in life yet, but a display like yours is the dream.